When I moved out to California, I decided not to fly home for Thanksgiving as its a long flight and Christmas is just around the corner. When attending a Thanksgiving dinner out here, I wanted to bring a dessert with me that was reflective of home. 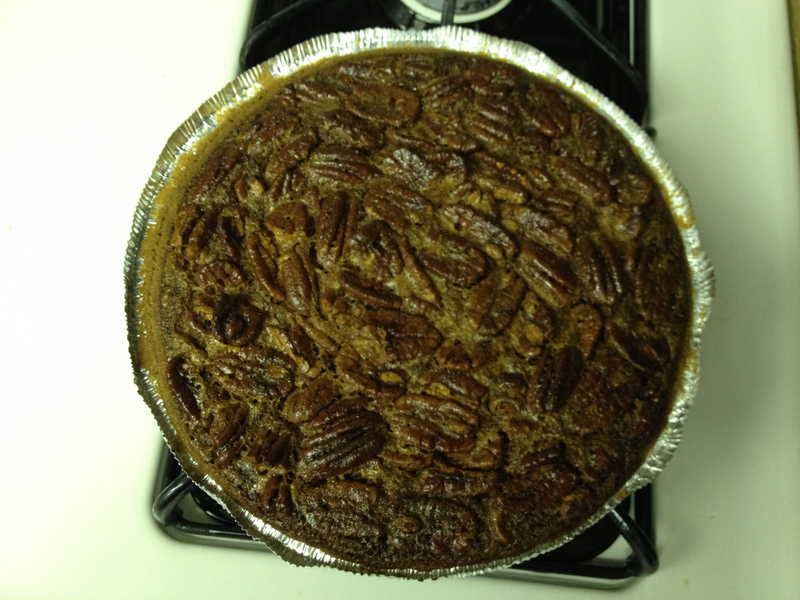 I decided to make Pecan Pie. Never having made one, I found the recipe surprisingly easy. Melt the butter in the microwave. Thirty seconds to a minute should do it. 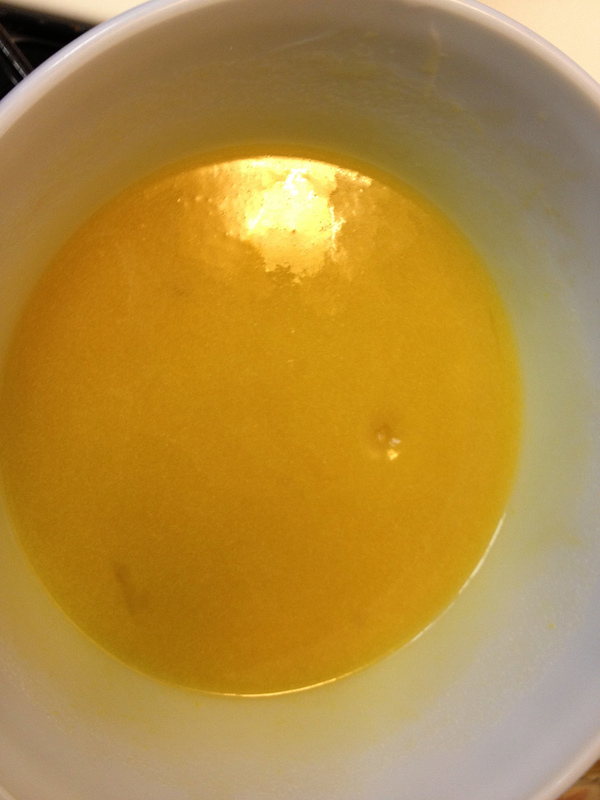 Mix the butter, vanilla, and eggs with sugar and corn syrup until it’s a consistent, gold color. 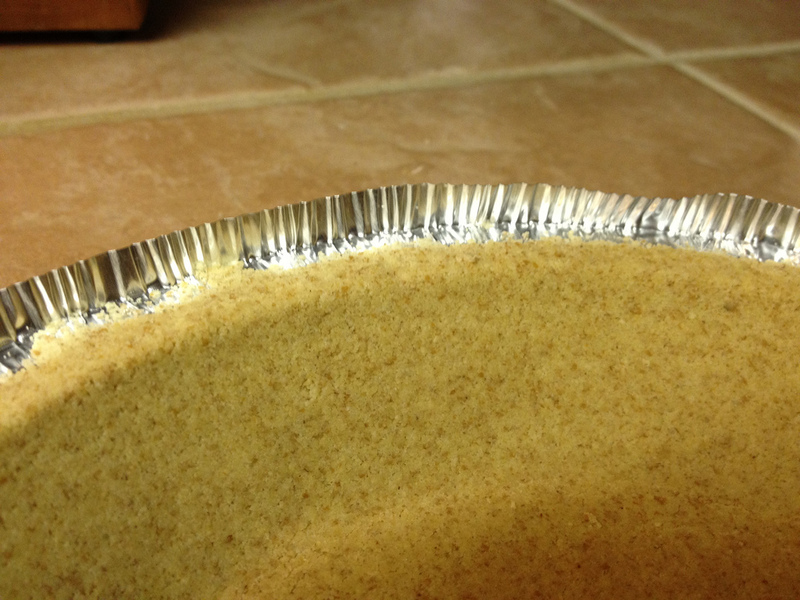 Open pie crust so that the edges are pointing upwards. This will help catch any spill over in the pie shell. 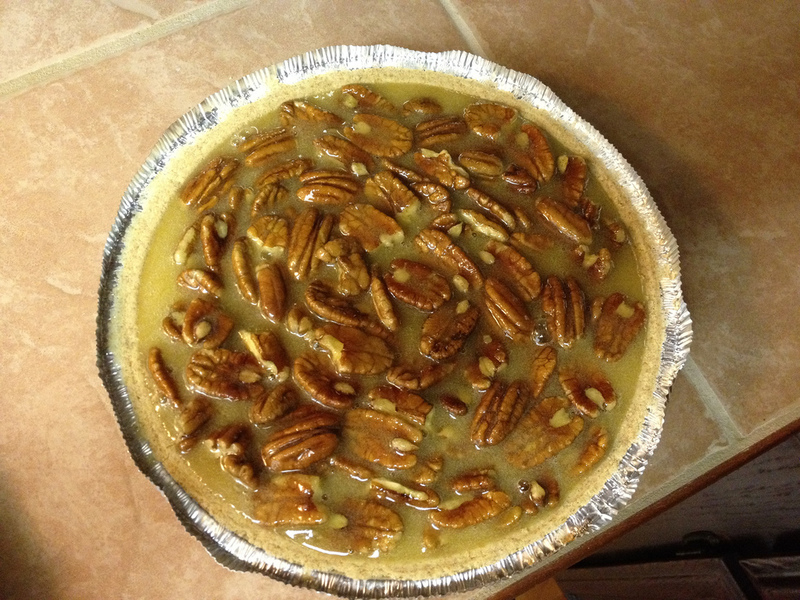 Add the pecans to the pie. Stir gently until all the nuts are distributed and coated with the golden mixture. Pour into crust. Place the pie in the oven for 60 minutes. If the center of the pie is not firm, but has some spring to it, bake it for an additional 10 minutes. When done, it should look like the below pie. This year I added some chocolate to the pie. To melt the chocolate, place the chips into the microwave on 1/2 power for one minute. Try stirring the chocolate. 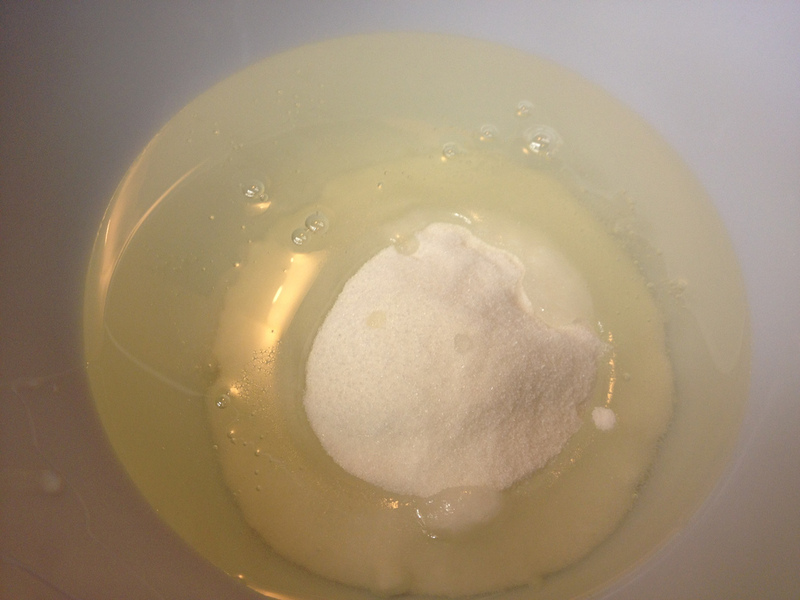 If the consistncy is not thin enough, microwave in 30 second intervals on 1/2 power until soft. Note: Chocolate easily burns and does not liquefy even though it is soft. Stirring every 30 seconds ensures the chocolate does not overcook. 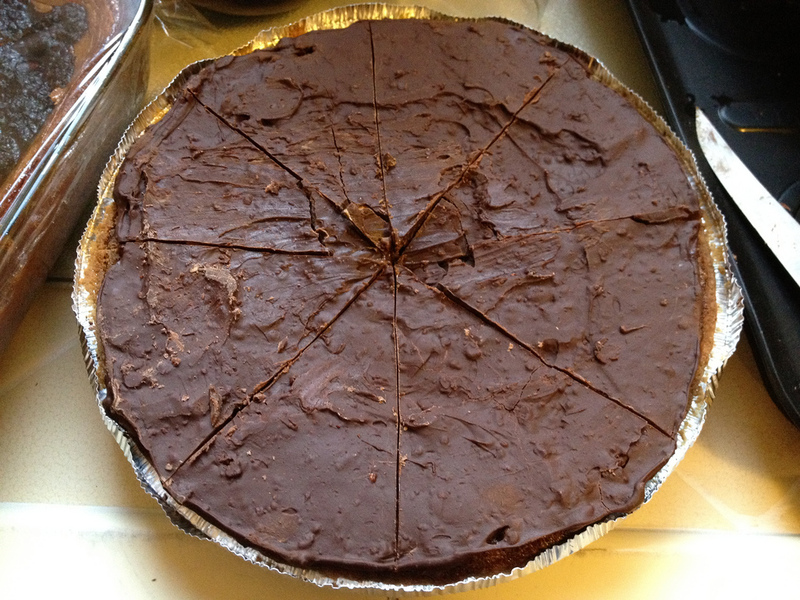 I added the oil to the recipe as the chocolate was too firm when I cut the pie. The oil will help soften the chocolate. I HOWLED when I read the chocolate part; timing, two thumbs up.